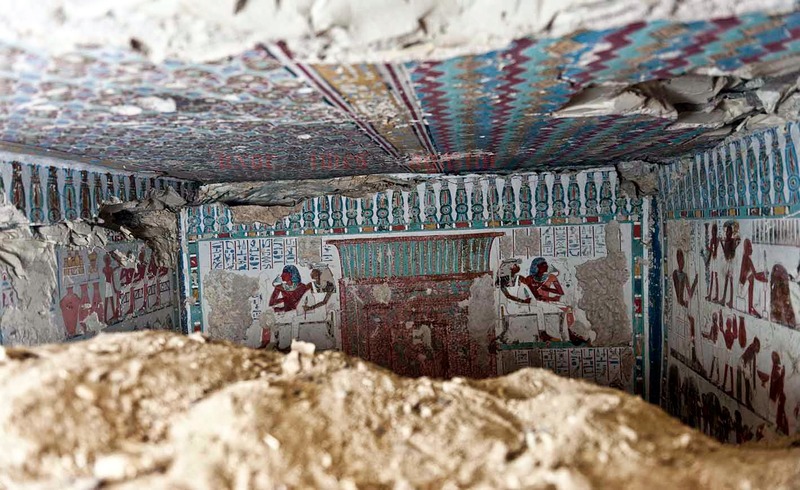 The ARCE (American Research Center in Egypt) team working at TT110 had unearthed a new tomb in Qurna while cleaning the courtyard of tomb TT110. 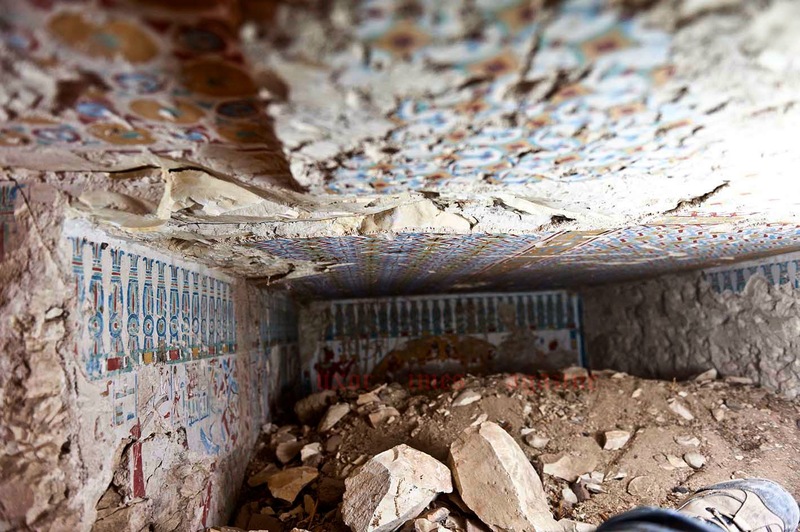 The discovered tomb is located to the east of TT110 and it belongs to an official called "Amenhotep" who held the title of "God Amun gatekeeper". 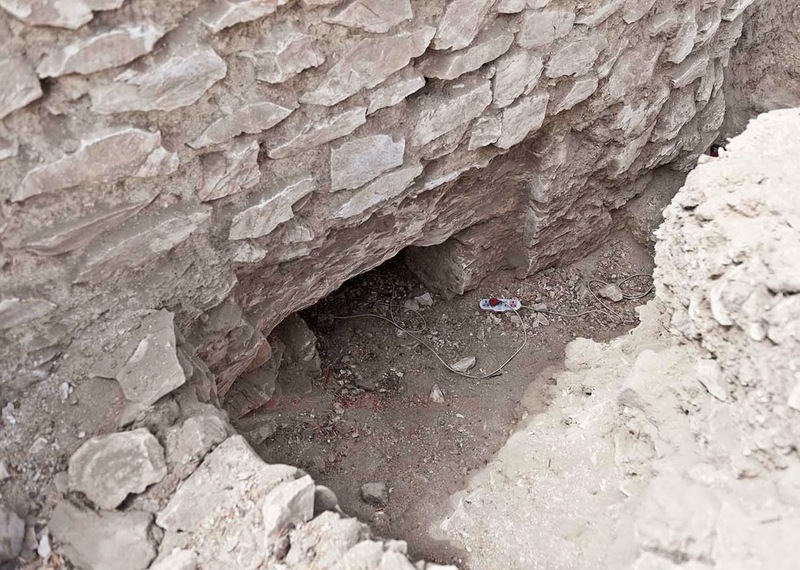 The tomb is a T shape tomb measures 5.1meters in length and 1.5 meters in width. There is also a side room connected by a hallway. 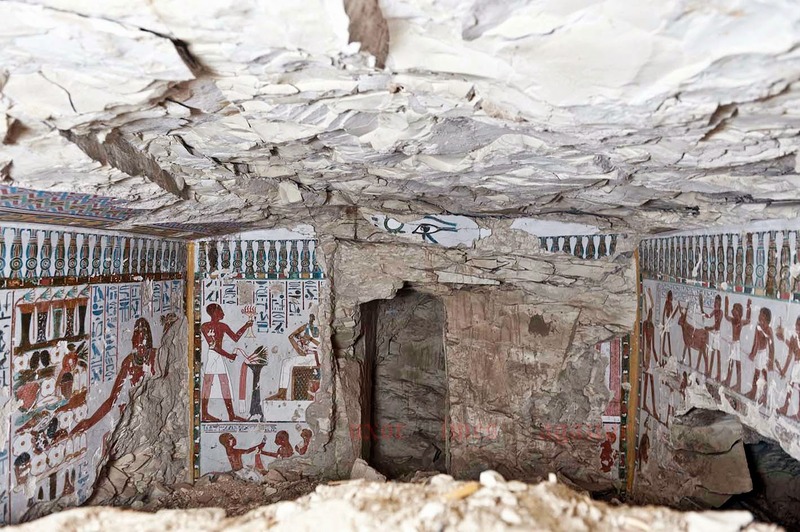 The hallway is 2.5 meters length and 2.1 width and the small side room is 2 meters by 2 meters with a shaft in the middle of the room which probably leads to the burial chamber. 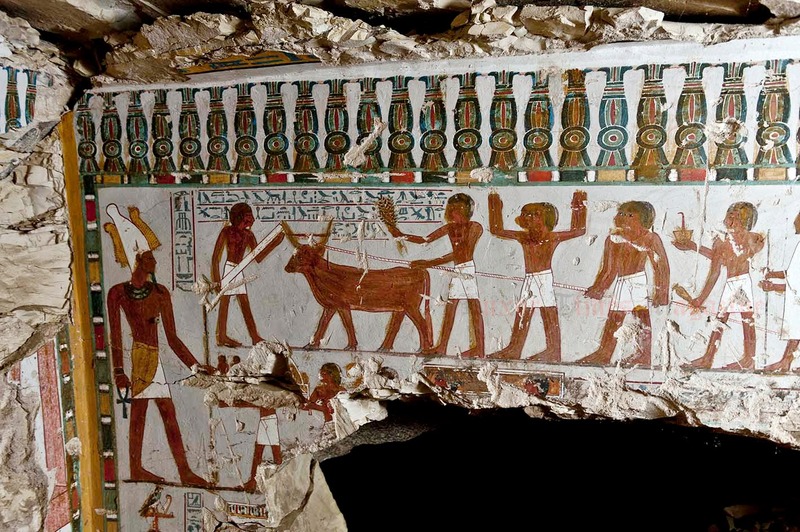 The tomb walls show scenes of the owner of the tomb with his wife in front of offering table and also daily life scenes such as farming. 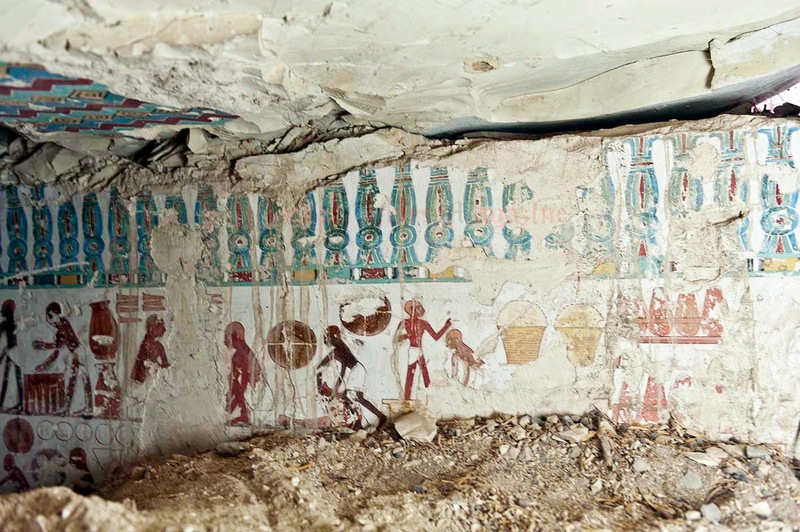 The tomb walls show deliberate erasing of the God Amun name which indicated according to Mr. Sultan Eid, director of Luxor Antiquities, that the religious revolution at the time of Akhenaton affected this tomb directly.